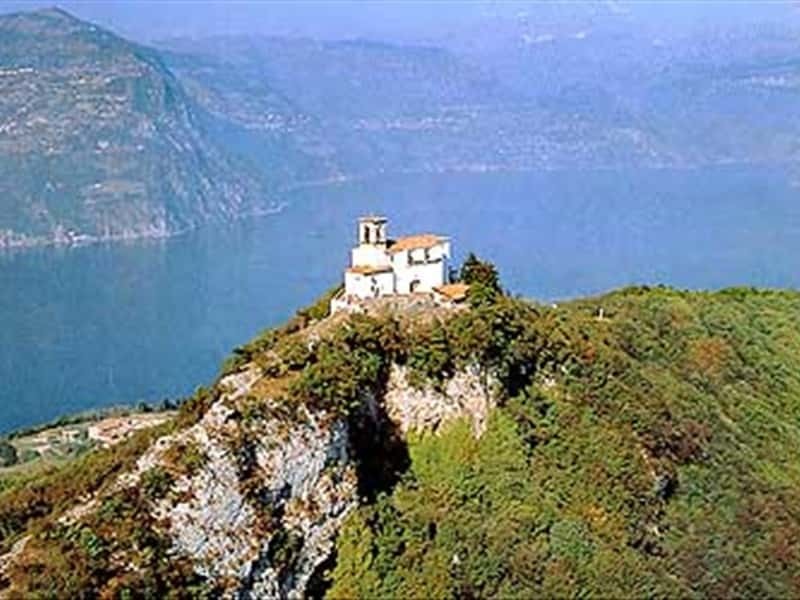 A small town in the province of Brescia, Monte Isola is an island that bisects Lake Iseo. It faces towards a steep slope on the Brescia side of the Lake dominated by the Sanctuary of Our Lady of Ceriola and cultivated areas on the Bergamo side. Certainly inhabited in Roman times, the territory of Monte Isola is already documented in 905 among the possessions of the Monastery of Santa Giulia in Brescia. During the XIII century the family Oldofredi built a Castle, known today as Rocca Martinengo. When the area, became part of the Serenissima Republic of Venice, it was famous as "the mountain in the middle of the lake." The mild climate, the narrow streets and alleyways that climb to the mountain, between fragrant oleander, olive groves and vineyards make of Monte Isola a resort particularly popular for its picturesque appearance. The village, full of arcades and VI and VII century palaces, porticos, stone houses, wells and small squares, preserves architectural jewels of exquisite value, such as: the Baroque church of Saints Faustino and Giovita, which features masterpieces like the Last Supper of Ottavio Amigoni; the Sanctuary of Our Lady of Ceriola, built in the XVI century built on an existing chapel of the XII century; the XV century Church of San Rocco and the Castle Oldofredi.